It’s been a warm week here in Interior Alaska. 90 degrees hit Fairbanks, although I’m not sure if that was official “Airport Temperature”. It was over 90 on the roof I was replacing, let me tell ya. How warm was it in the Far North? Deadhorse hit 85! Deadhorse! This is what Deadhorse normally looks like. 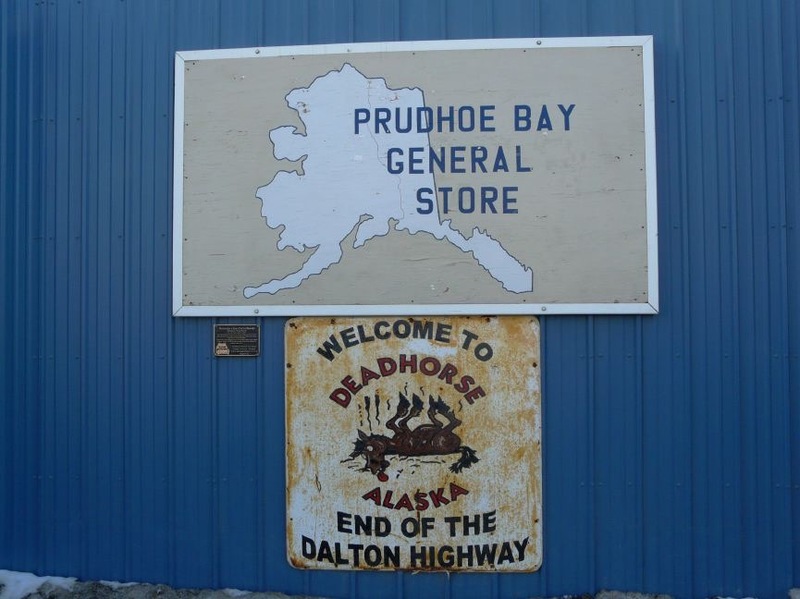 Deadhorse lies at the Northern End of the “Haul Road”, or Dalton Highway if you prefer. 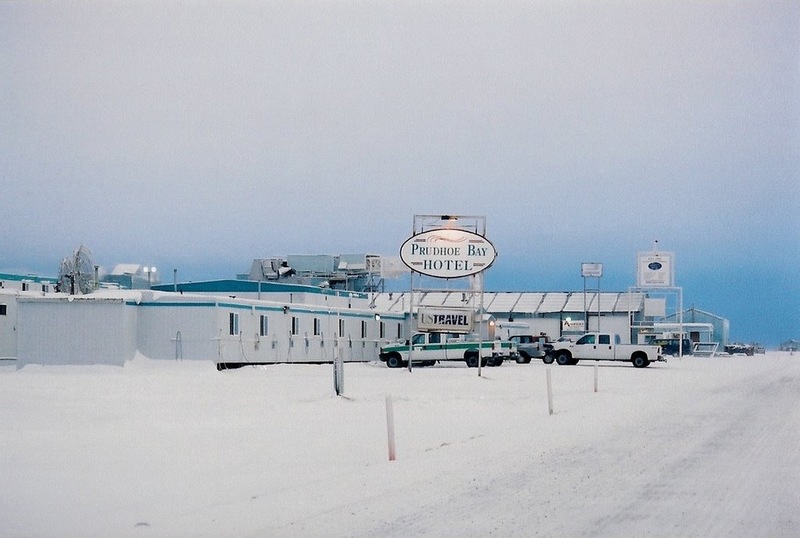 It is just short of Prudhoe Bay and the Arctic Ocean. 85 degrees was an all time record high for Deadhorse. In fact, it was the warmest temperature ever recorded within 50 miles of Alaska’s Arctic Ocean coastline. The average temperature in Deadhorse at this time of year is 57 degrees. Even Eagle, the little community on the Yukon River, hit 85 degrees. I’m not complaining, mind you, even if I was hauling shingles and as wet as a good bird dog during duck season. The last time Fairbanks hit 90 degrees was in 2013. So far in 2016, Alaska’s average temperature is 9 degrees above normal. 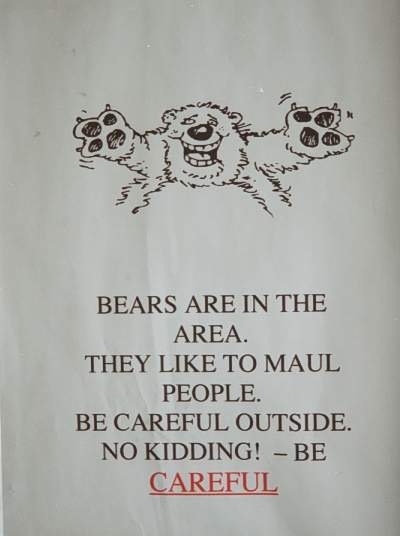 Even at 85 degrees, it’s good to remember that bears like to wander around Deadhorse. As well as caribou, musk oxen, etc. This entry was posted on Saturday, July 16th, 2016 at 12:49 PM	and tagged with bear, deadhorse, Fairbanks, heat, history, travel, wildlife and posted in Alaska. You can follow any responses to this entry through the RSS 2.0 feed. Thanks….I know you are just trying to make me feel better, having left Alaska for Texas and we are sharing the misery of 90 degree weather. The coldest I have ever seen it drop to in Fairbanks, was -63F. This past winter was warm, by our standards, as Fairbanks did not drop below -30F.